Picture this: the sun comes up over an endless, calm ocean. 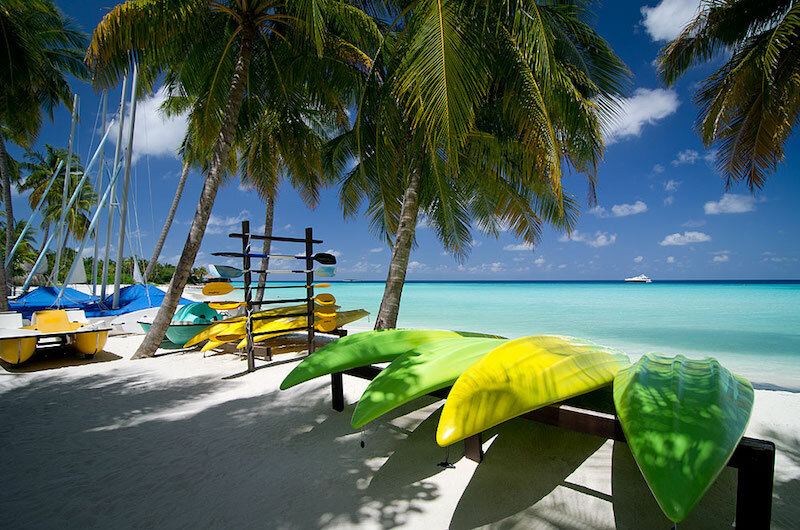 You hear the sound of the waves rolling onto powder white sand. A stroll onto your deck brings you a chance meeting with a reef shark, casually exploring the water beneath your exquisite villa. In the distance you see a pod of dolphins playfully jumping out of the water. 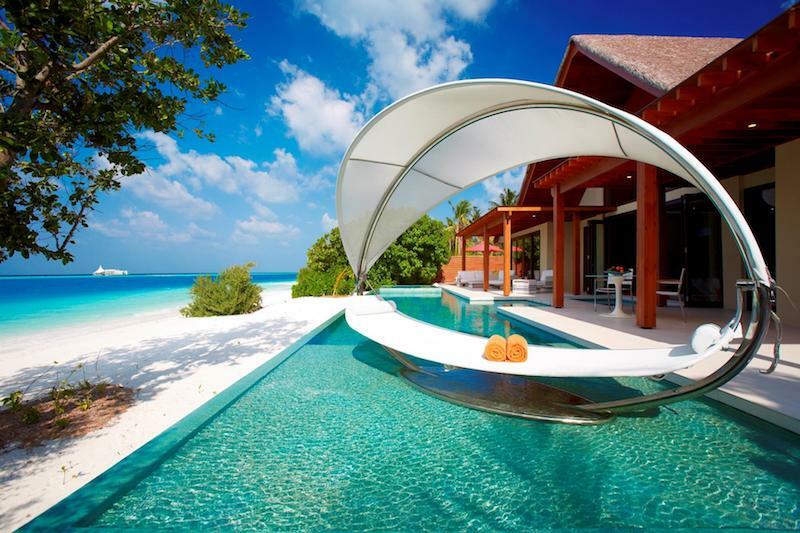 This is the Maldives, this is paradise. 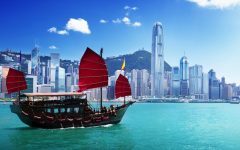 An easy six-hour direct flight takes you from the hustle and bustle of Hong Kong to the crystal clear waters and pristine sand of the Indian Ocean. 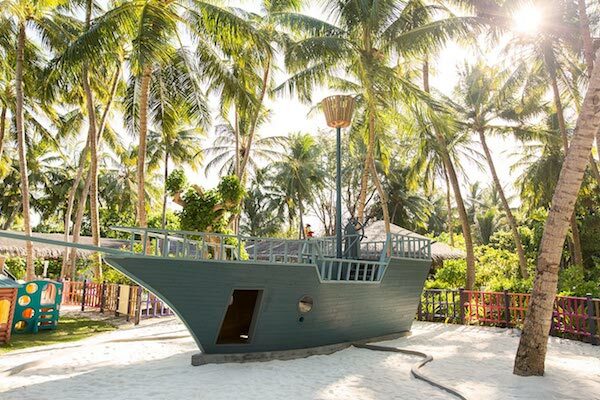 Historically, these tiny islands were reserved for honeymooners and couples looking to relax in luxury without the giggling sounds of children around them, but all this has changed. 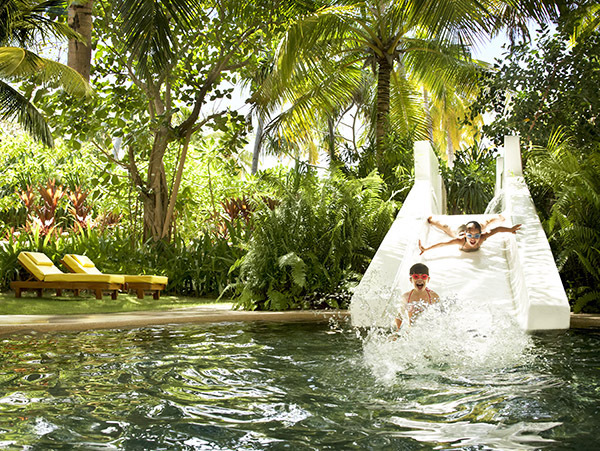 A new wave of family-friendly, activity-packed luxury resorts now lead the way. 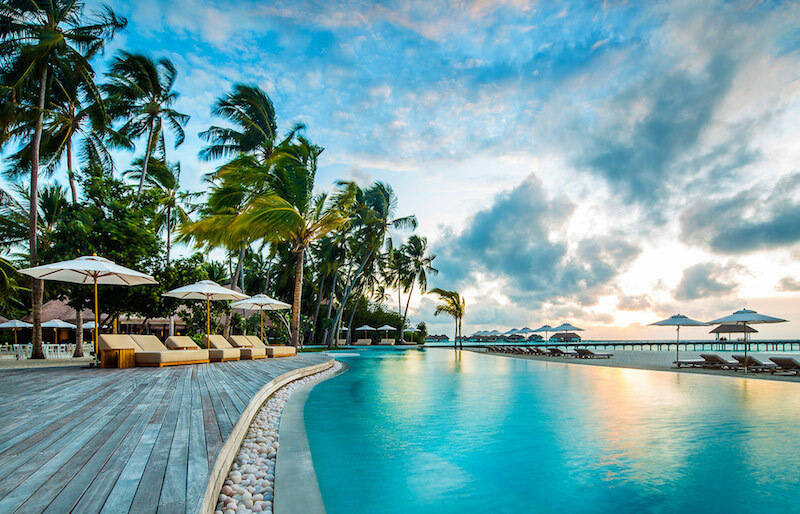 We’ve asked Hong Kong Mom of two little ones, travel fanatic and, well, our resident expert on the Maldives, Victoria Millwood of 360 Private Travel, to share her insight into this heavenly destination. 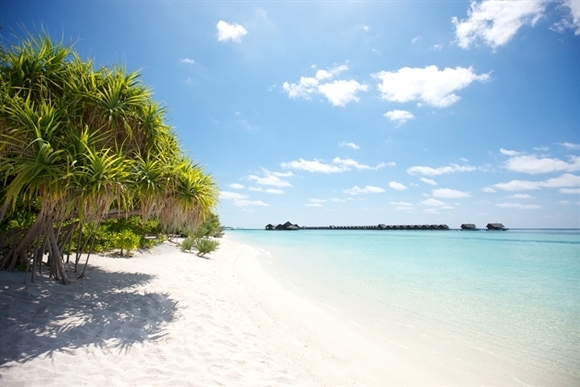 Cathay Pacific flies direct to Male four times a week from Hong Kong, making a long weekend or week-long trip very accessible. 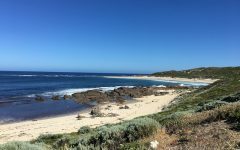 There are no advance visa requirements or any special vaccinations needed and with year-round sunshine, this really is the perfect holiday spot. When looking at accommodation options, the first thing to consider is how far are you willing to travel beyond Male? 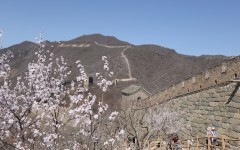 There are three main options: resorts that are accessed via a speedboat, those accessed via seaplane and those that are reached via a short domestic flight. The Cathay flight arrives in the evening (around 9pm depending on the time of year) which rules out travelling to a resort via a seaplane upon arrival. 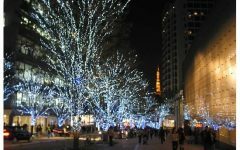 Instead you would need to stay overnight somewhere close to the airport and transfer the following day. If you’re travelling with small children or for a long weekend, I would definitely recommend a resort that is accessed via speedboat as you can be in your villa within an hour or so of landing. If you’re staying for longer, venturing out to one of the more remote atolls will definitely be worth the effort. Regardless of the location you end up choosing, you will be rewarded with accommodation of the highest standards, excellent service, world-class spas, an abundance of marine life and a seemingly endless array of watersport activities. If you’re looking to unwind in style, nowhere does luxury quite like the Maldives. If you’re mindful of your budget but still want to experience the magic of the Maldives, I highly recommend Anantara Dhigu. Located in a southern atoll just 35 minutes via speedboat from Male, this naturally beautiful island will have your children’s imagination spinning into overdrive. Swim out to the picnic island and spend the afternoon digging for treasure, snorkel with a huge collection of marine life or get creative in the dedicated kids club. There is plenty to keep the kids entertained while mom and dad venture across to the neighboring adults-only island for some much needed r & r.
If you’re travelling with two small children, the entry-level Sunset Beach Villas are a perfect choice with plenty of space for a day bed and an additional cot. For families with three to four children, the Family Two bedroom villas offer plenty of space at a reasonable price and the resort is very flexible on additional bed allocation. Current offer: Save up to 50% with advance purchase and receive complimentary upgrade to Half Board (breakfast and dinner). Four nights for a family of four from $2,500 USD including half board, all taxes, service charges and transfers. If budget isn’t a concern, then this long-standing leader in the Maldives is ideal for a family-focused weekend. Accessed via a short speedboat journey, this expansive island offers the very best of everything. With your pick of 12 beaches, a beach club, two championship-grade tennis courts, an exceptional spa, the Maldives’ only PADI National Geographic dive center; an expansive water sports program, artists’ studio, a climbing wall and a golf simulator plus a dedicated kids’ club, it is easy to see why families come back year after year to this beautiful island. 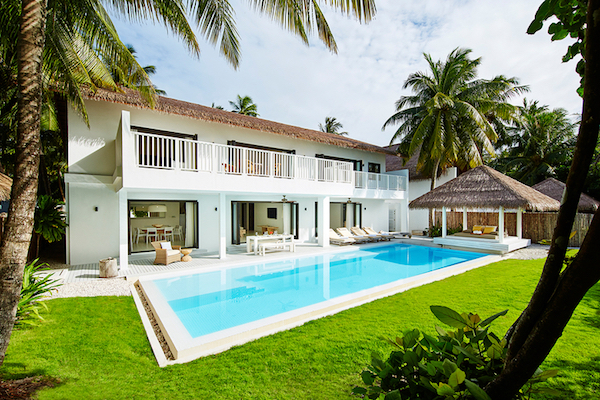 If you’re traveling with two children, a Grand Beach Villa is a great fit. With a separate living area and your own pool, there is plenty of space for you all to spread out. If you’re traveling with four plus children, then the resort offers a number of two and three bedroom villas. Current offer: Stay four pay three, complimentary upgrade to Half Board (breakfast and dinner) and complimentary transfers. Four nights for a family of four from $8,750 USD including half board, all taxes, service charges and transfers. 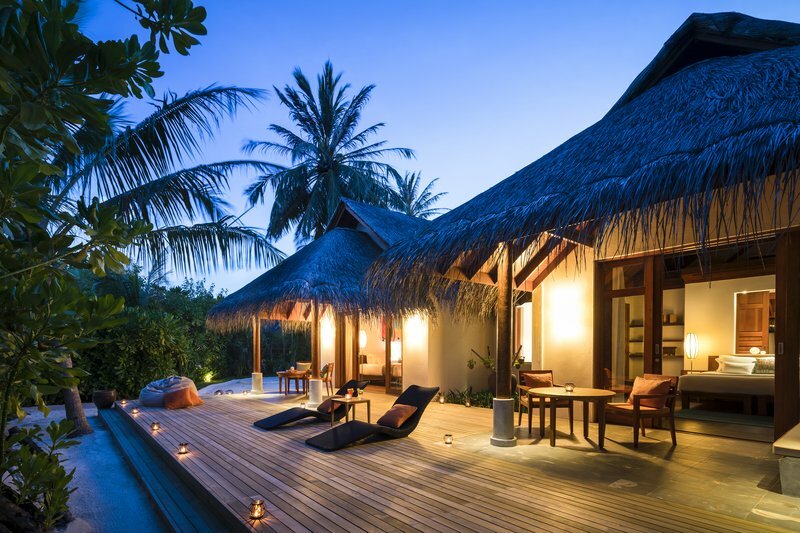 A more affordable option is the LUX Maldives. Set in a remote atoll accessed via seaplane or a domestic flight, this beautiful island has a huge sandbank that seems to go on forever. With unobstructive views and the most incredible sunsets, this is a very special resort. This expansive island has seven dining outlets, all with individual a la carte, children and vegetarian menus so you will never tire of the choices. The resort also offers an excellent all-inclusive option that lets you order bottles of premium wine and champagne (Cloudy Bay included!) and the water sports and activities on offer are well priced making this an excellent choice for affordable luxury. It is also worth noting the resort has a resident band and DJ for a fun and lively evenings. If you’re travelling with two young children and don’t mind sharing a room then the resort can accommodate you all in a Beach Villa. Alternatively you can chose to take adjoining Beach Pavilions and sleep up to two adults and four kids comfortably. Current offers: Save up to 15% with advance purchase. Seven nights for a family of four from $6,150 USD including breakfast, all taxes, service charges and transfers. 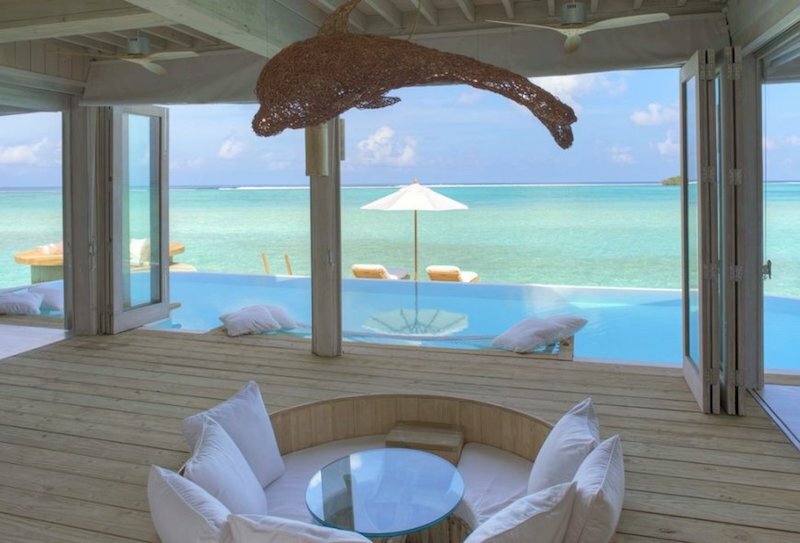 If you are willing to splurge a bit, one of my absolute favorite resorts anywhere in the world is Maalifushi by Como. This place is as close to perfection as you can get. With large, contemporary villas both on the beach and over water, a flagship Como Shambalah spa, a dedicated (and delicious) wellness menu and an abundance of marine life, this is one of those resorts that you will never want to leave. Ever. A family with two children can easily be accommodated in their beach or water villa. Alternatively they have a number of two and three bedroom villas available to accommodate larger groups. Current offers: Stay seven, pay five, complimentary half board and transfers. 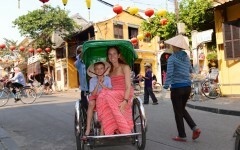 Seven nights for a family of four from $7,500 USD including half board, all taxes, service charges and transfers. Not so budget-friendly but it is hard to look past Per Aquum Niyama when travelling with kids in tow. 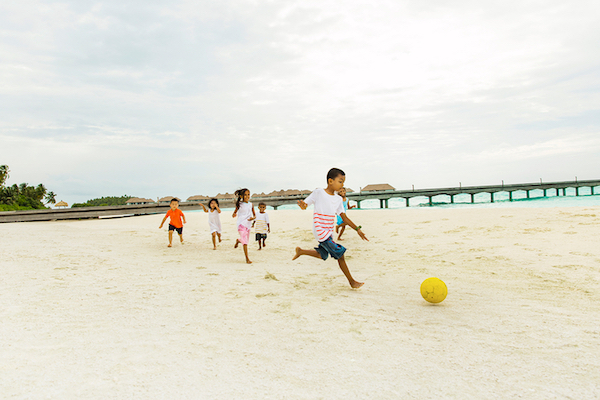 Their kids’ club is arguably the best in the Maldives with dedicated programs for children age 12 months and up. From fashion shows to football academies, surf schools and everything in-between, your children will be entertained right up to the evening movie on the beach, your only problem will be trying to pry them away from all of their newly made best friends. The fun is not limited to the pint-sized members of your family of course, for older kids and parents alike, there is a resident marine biologist who will take you on incredible guided snorkel and diving excursions, the water sports center is home to the most up-to-date extreme equipment, along many experiences from big game fishing to sunset cruises. To top it off, you can end the day with dinner under the ocean at Subsix, the resort’s underwater restaurant. 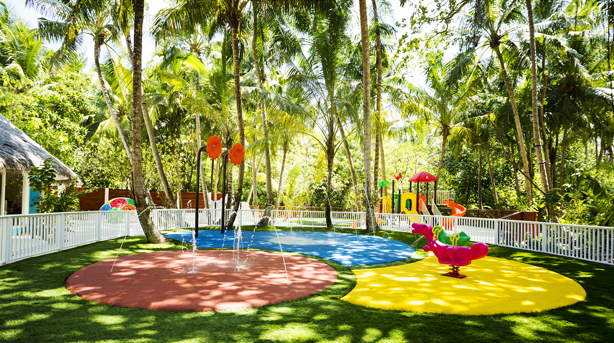 If you’re travelling with two children, the resort’s Family Beach Suites would be perfect. 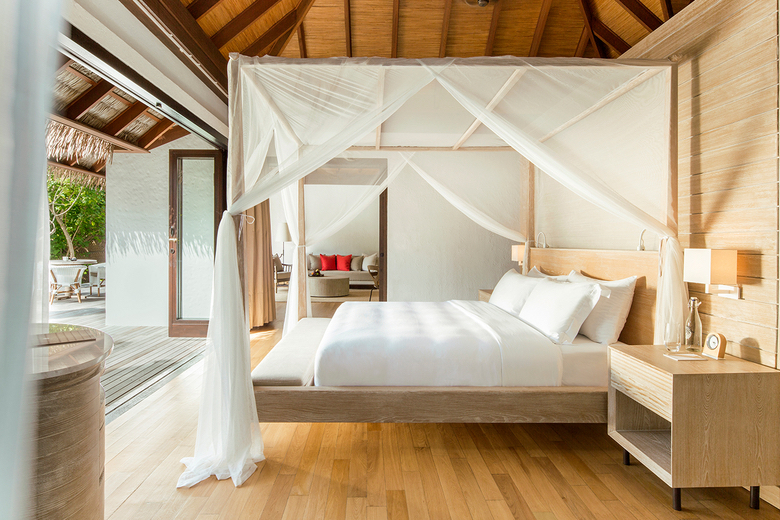 For larger groups, Niyama has a number of two and three bedroom options and their incredible “Cresent” which can accommodate up to 14 adults and eight children. Current offers: Seven nights for a family of four from $13,000 USD including half board, all taxes, service charges and transfers. The newest kid on the block, opening in November 2016 blows just about everything else out of the water when it comes to luxury. 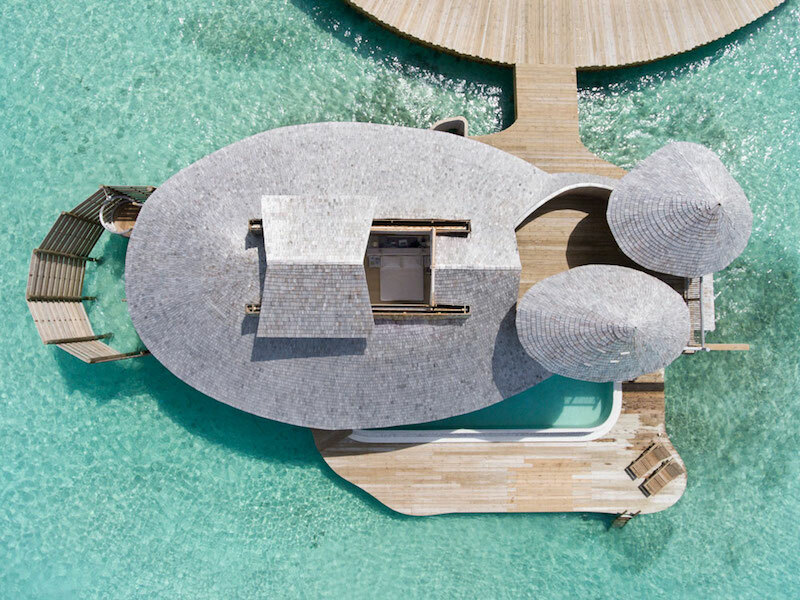 This no news, no shoes, barefoot luxury resort is the hottest new opening in the Maldives and redefines the five-star-plus experience. 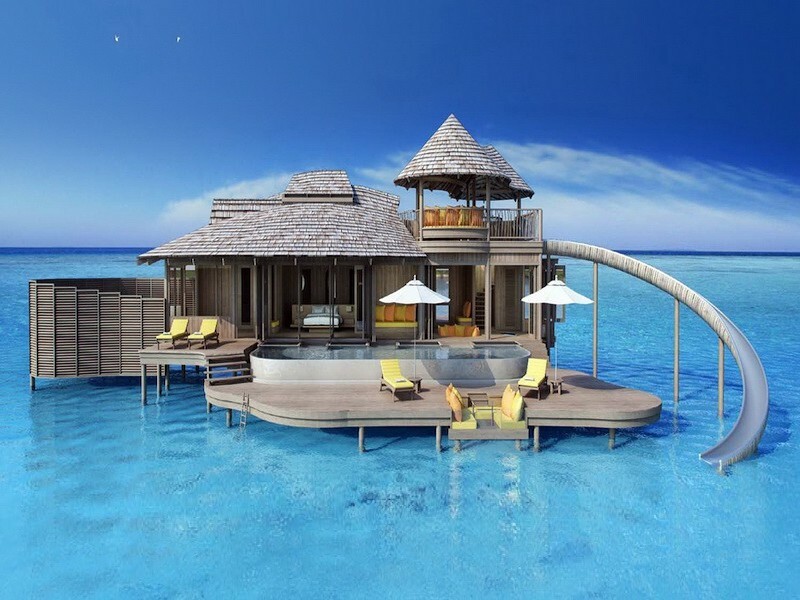 Every over-water villa comes complete with its own slide delivering you directly into the clear blue water and has an extractable roof for stargazing the night away. 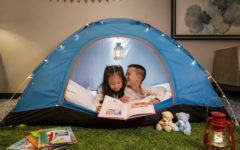 If that is not enough to keep the little ones entertained, they also have a dedicated “Children’s Den”, a cinema on the beach, an observatory for counting Saturn’s rings and over 60 flavors of homemade ice cream. 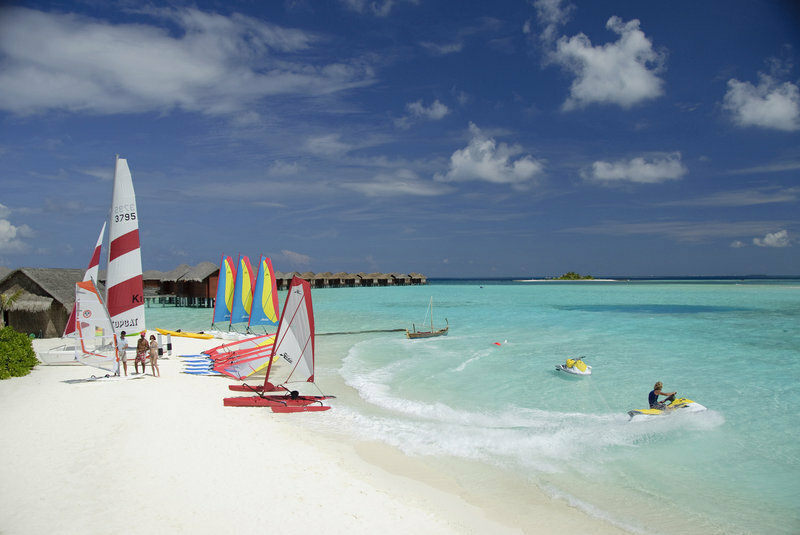 This magical resort spans over five islands and is accessed via a 40 minute seaplane ride from Male. If you are fortunate enough to be able to stay here, don’t even think twice about it — you will not be disappointed. The resort offers a range of villas from one to four bedroom so regardless of your group size, there will be an option that fits the bill perfectly. Current offers: Stay seven, pay five. Seven nights for a family of four in a two bedroom villa from $45,500 USD including breakfast, all taxes, service charges and transfers.